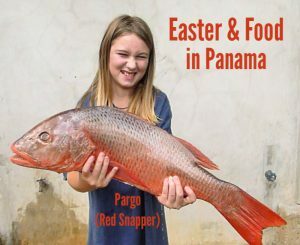 Taxes are low in Panama. Capital gains taxes are only 10% (max). And you may not have to pay any property tax – ever. But, yes, there are real estate-related taxes in Panama. In this post, I cover real estate-related taxes as follows: property, sales, transfer, capital gains, rental income, and gift taxes in Panama. As you may have heard, Panama has radically revised its property tax system. 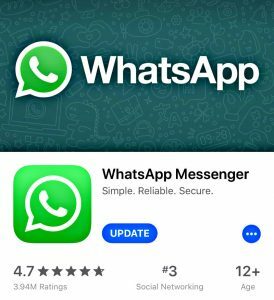 It goes into effect on January 1, 2019. Through 2018, if your Panama property is valued at or under $30,000, your property is completely exempt from property tax. In 2019, that exemption surges up to $120,000. Since most property in Panama is valued at under $120,000, most real estate in Panama will have zero property tax. Keep in mind, this exemption only applies to your primary residence. Own 1 Property? 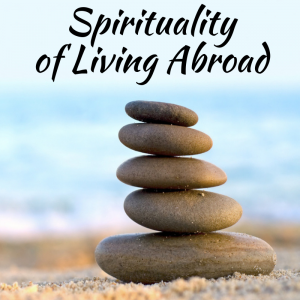 If you only own one property in Panama, regardless of anything you own outside of the country or how much time you spend in Panama, Panama views that property as your primary residence. Own Multiple Properties? If you own more than 1 Panama property, all but your primary residence will be taxed at the investor rate (see below). This rate is still a 50% reduction from the old Panama property tax rate. And even those properties enjoy an exemption on the first $30,000 of value. A property tax example. Say you buy your house for $350,000. You would pay property tax on $230,000 ($350,000 – $120,000) at a rate of .5%. Which means you would owe $1,150 in property taxes a year. This “investor” rate applies to secondary residences, commercial and industrial properties. A property’s registered value is the same as the sales price. The registered value will only get updated when you sell the property. 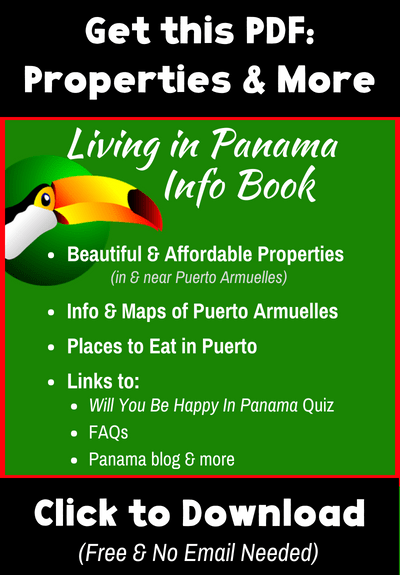 Panama has no property assessors. ANATI is the government department that keeps records of a property’s registered value. Keep in mind, only titled property is registered; and therefore, has a registered value. ROP Property – Is The End Near? Right of Possession (ROP) properties do not pay property taxes. And most property in Panama is ROP.. Most people don’t title their ROP property because of cost. Not only does it cost money to title, but once you title, you are required to pay property taxes. Learn more about ROP property. For many people, especially Panamanians, there is little reason to title their ROP property. Titling means they will have to pay a lawyer and the government a chunk of change. And then property taxes every year after that. 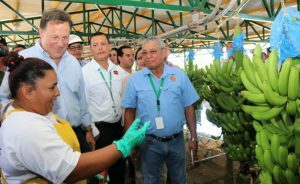 But the Varela government really wants to rid Panama of its informal ROP property system. It wants to modernize its land system to include better centralized tracking and to allow for better protections of property owners. Enter the new property tax law. The new law slashes property tax rates. Most critically, it exempts properties valued at up to $120,000 from paying any property tax whatsoever. As I’ve mentioned, the vast majority of real estate in Panama is under $120,000. The Varela government is doing all it can to get property titled. It has even created mobile ANATI offices to travel around Panama to help ROP property owners to title their property. Time will tell how effective the new property tax law & government efforts are at nudging people to title their ROP homes. 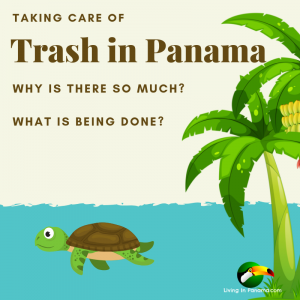 Panama is also under pressure from the World Bank and other lending institutions to do a better job at collecting the millions of dollars of unpaid property taxes. Given that Panama does a terrible job at collecting property taxes, it won’t be hard to show improvement. Many, maybe most, property owners in Panama don’t pay their property taxes until they sell. That is only time the government tries to collect property taxes – at the point of sale. At that time, the seller not only has to pay all unpaid property taxes, but all the fines accrued for the late payments. 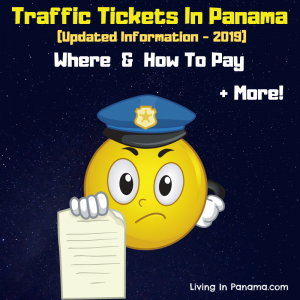 Starting in 2019, Panama will likely try to develop some kind of property tax-notification system. The easiest way, for those with a mortgage loan, is to partner with banks to notify owners. 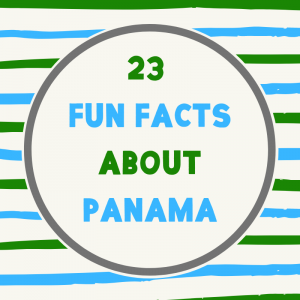 Panama’s has had a famous tax exoneration law. In 2008, it allowed for a 20-year tax exoneration for properties which were built prior to January 1, 2012. Then, in 2012, the tax exoneration rules changed. You could get a property tax exoneration for houses or condos built after 2012. But not a 20 years exoneration, depending on the price, the tax exoneration varied from 5 to 15 years. Panama’s tax exoneration program ends on January 1, 2019; the same date the new property tax system comes into play. However, if you own a property that is currently built and has an exoneration, then you are good. And if you buy a property that has a tax exoneration, you are good too. The exoneration remains with the building, not the owner. So it can be transferred from one owner to the next. Keep in mind, the tax exoneration only applies to the improvements or construction. You will still need to pay taxes on the land. As far as registering improvements, you need to file the value. This is done as part of the construction permit process. That is what constitutes “mejoras,” (improvements). Improvements can still be exonerated from taxes, but the filing must be done before the law changes in 2019. Remember, after the exoneration law ends, $120,000 of your property’s value will be fully exempt from property taxes. As I mentioned above, the seller must pay any unpaid property taxes upon the sale of the property. Title Transfer Tax = 2% of either the updated registered value of the property or the sale price, whichever is higher. The updated value is the registered value, plus 5% per annum of ownership. The capital gains tax is a little complicated. The seller will initially be charged, and must pay, 3% of the sales price. After this payment, if 10% of the actual gain is less than 3% of the sales price, the seller can then apply to the government for a refund for the difference. However, getting this refund takes time. But I know of people who have been successful. Technically, you are supposed to include your capital gains as part of your income tax return. But that is not generally done, and you will not be penalized for not doing so. If you form a corporation to buy or sell property, you don’t pay a title transfer and capital gains tax. However, you are then required to pay a 5% share transfer tax. Tax-wise it is usually a wash. You effectively pay the same amount of tax. And you lose out on getting a refund if your capital gain is less than 3% of the sales price. If the property is owned under a corporation and the registered value of the property is significantly lower than your purchase price, you should consider purchasing the corporation. This is because, for tax purposes, the registered values do not update when the shares of the corporation are sold. Of course, this only applies if the corporation only owns the property you are purchasing. If you rent out your property, you may need to pay tax on the income. Rental income is taxed at the following progressive rates. However, if you own a hotel or condo-hotel in one of the special “tourism zones,” you may be exempt from income tax for 15 years. Deductions. Panama does allow the following deductions when calculating your rental income. 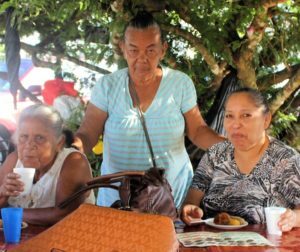 The inheritance tax does not exist in Panama. It has been completely abolished. However, there is a gift (inter-vivos) tax on properties located in Panama. The gift tax rate depends on the degree of relationship between the donor and the donee. You should speak with your lawyer for the details. This tax does not apply to gifted property located outside of Panama. 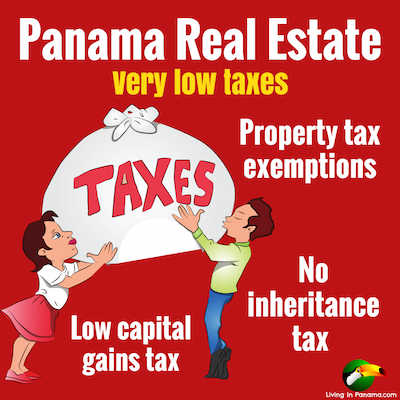 Overall, Panama real estate taxes are low. You can make them lower, if you pay your property taxes on time. Then when you sell your property you can avoid paying late fees. Another tax saving is to pay the whole year’s property tax at once. Then Panama will give you a 10% discount. If you are an American, you can avoid double taxation, use loop-holes and more by reading this article on how buying and selling real estate in Panama can impact your US taxes. 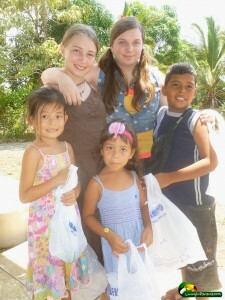 Buying Panama real estate can also help you qualify for one of Panama’s best visa programs, the Friendly Nations Visa. This visa program allows you to get your permanent residence quickly, as well as gives you a shot at becoming a Panama citizen in 5 years. Please note: I am not a tax accountant. While I strive to make sure everything in this article is up-to-date and accurate, you should consult a knowledgable tax accountant when making your tax-related decisions. Learn more about Panama real estate. 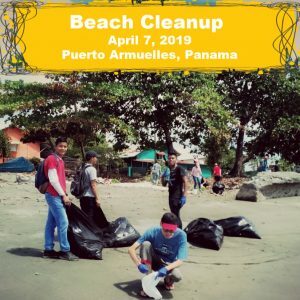 Sign up for the Living In Panama Newsletter.